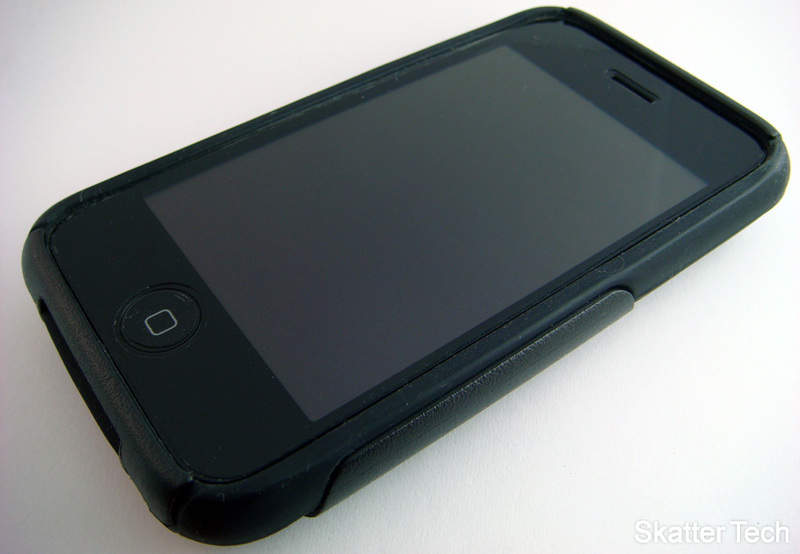 As you may be aware by now, all of us here at Skatter Tech strongly recommend buying a protective case for your phones and other expensive gadgets. Spending a couple bucks is well worth the investment. 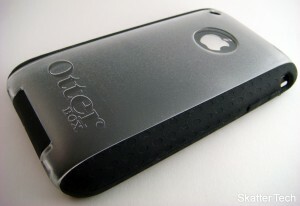 Today I’ve reviews of two new cases for the iPhone 3G and 3GS by OtterBox. The Commuter and the Commuter TL are both are quite similar, but have a few differences, keep reading to find out which one’s right for you. Some cases that I’ve come across have been a pain to install. For example the Griffin Wave even ended-up scratching my iPhone. Both the Commuter and Commuter TL are truly easy to install. It took less than a minute to place my iPhone into the silicone sleeve then attach the hard case onto it. I was a little worried that the silicone might tear when the plastic portion was going on, but it went on just fine with some caution. 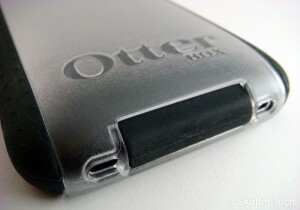 OtterBox also includes a screen protector with both the Commuter and the Commuter TL. It’s a decent screen protector, but it does slightly reduce the screen’s sensitivity. The OtterBox Commuter and Commuter TL cases offer great protection all around the phone. Unlike most cases, both offer protection of the power button, dock connection, volume control buttons, and the headphone jack. The only parts which are left open are the silent switch, the speaker, the microphone, and the camera. Adding a cover for the dock connector was a great idea since it almost always gathers dust and lint. Unfortunately that also means that your iPhone won’t fit into any docks while this case is on. Doing the same for the headphone jack was great idea as well, but will definitely take two hands to get the headphone cable in. I found that the volume and power buttons were even easier to use since they bulged out even more. 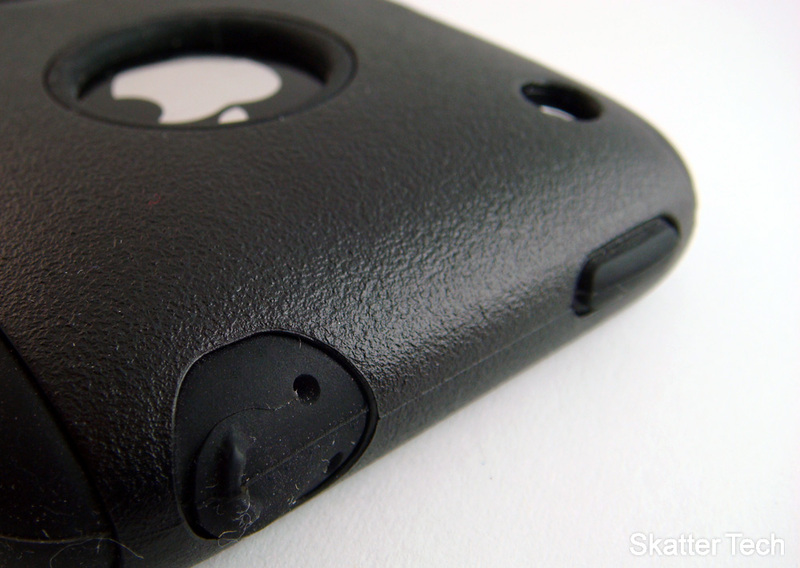 The ringer switch was the only one that was a bit difficult to use since the case around it was a bit too thick. For the most part, both cases are functional. There are a couple of differences between the two models. 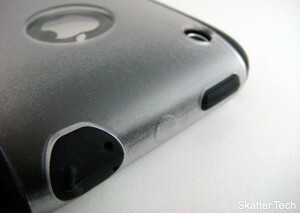 The Commuter has a cutout for the Apple logo which reduces protection, but the Commuter TL covers it with a plastic window. 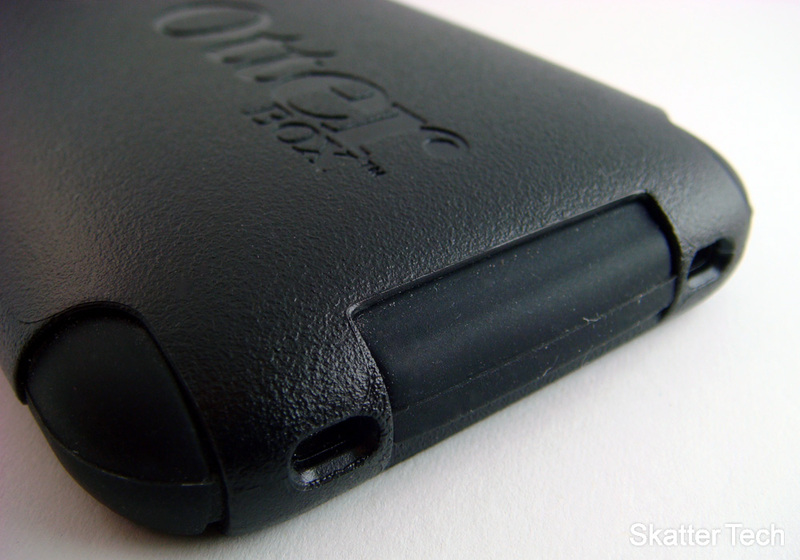 The Commuter’s hard case extends onto the side of the device for additional protection, while the Commuter TL only goes from the top to the bottom on the back side. The Commuter has a solid colored hard plastic shell while the Commuter TL has a transparent one. Although I would have appreciated protection over the Logo on the Commuter and protection on the sides for the Commuter TL, they are still some of the most rugged cases I’ve used. Plus they don’t look bad either. 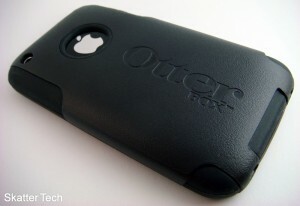 Overall the OtterBox Commuter and OtterBox Commuter TL are both now my favorite cases. Unfortunately each one has one flaw in protection such as the huge hole on the back or no hard case to cover the sides, but they both are still great choices. The Commuter is only available in Black, but the Commuter TL is now offered in Black Blue, Green, Pink, Red, White and Yellow. If you are looking for a case, I’d definitely recommend picking up one of these. The Commuter and Commuter TL are available for purchase now for about $35 and $30, respectively. Sorry, but we don’t allow posting promotions in comments. If you would like us to review some of your products, feel free to shoot us an email through the Contact Page. Thanks!